The relationship between OEM and Transport Company often extends beyond the cliché of buyer and seller. And whilst relatively new to the Australian market, Panus Oceania is making friends fast in the transport industry, especially through its support of community fund-raising events. On Saturday the 28th of March, the young Company was proud to be a part of “Zeke’s Fundraiser”, an annual charity event held in the close-knit rural township of Wycheproof in Victoria, where the local transport and farming district came together to raise much needed funds for the Royal Children’s Hospital – Good Friday Appeal. Panus National Sales and Marketing Manager Joe Horvat has a strong affinity to the region, having formed strong business relationships and friendships through his sales and service support to the local transport operators. It was initially through work that Joe met Corey Harrison, a local truck driver who carts for Wycheproof Grain Company, a small haulage business providing grain transport services across Victoria. In between his driving duties with Wycheproof Grain and juggling family life, Corey had faced every father’s worst challenge in December 2010 when his newborn son Zeke was diagnosed with Maple Syrup Urine Disease. The disease is an extremely rare metabolic disorder in which Zeke’s young body could not break down certain parts of protein such as amino acids, isoleucine and valine. This led to a build-up of the chemicals in the blood and in infants like Zeke, an overload would have been fatal. 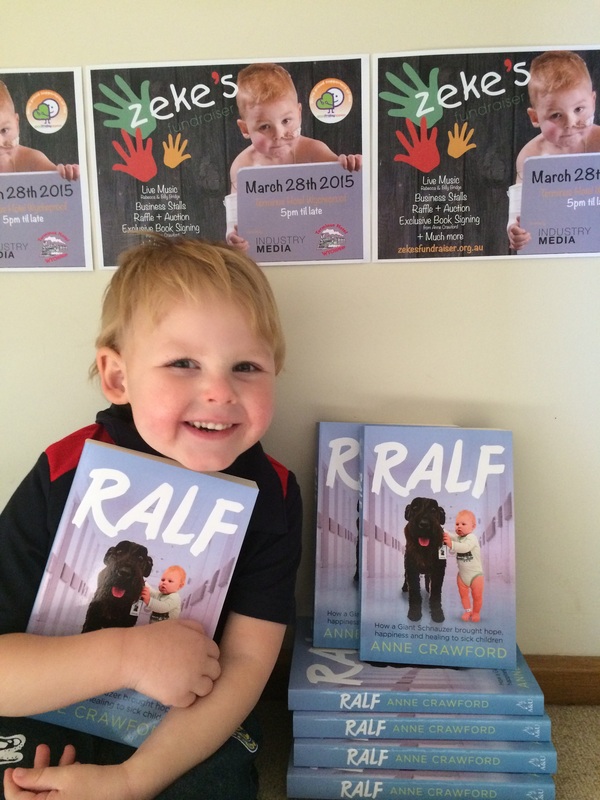 Zeke’s life had been divided between his home and constant trips to the Royal Children’s Hospital for dialysis to filter the protein from his bloodstream and ongoing treatment. 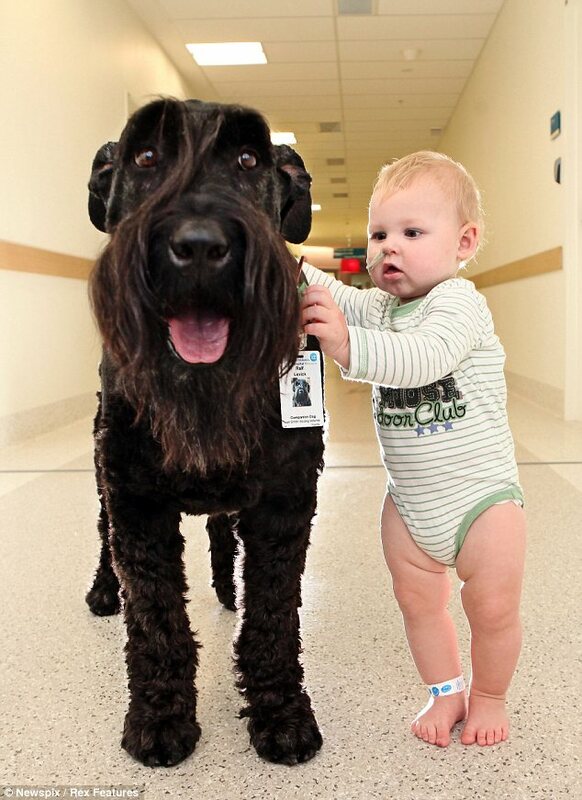 In fact, Zeke averaged an admission every month for his first three years of life! As you can imagine, Corey had the difficulty of balancing family with work commitments and remaining as positive as possible every time the hospital rang his phone. However, it was in December 2013 that Corey and his family received a phone call that was going to change their life for the better! “The hospital called to say a compatible liver donor had been found and that they only had a window of 24 hours in which to conduct the life-saving transplant which was going to allow Zeke to pursue a new lease on life to do the activities that normal kids do and eat foods which previously weren’t allowed as part of his diet,” Corey recalled. Corey and Laura constantly stress that they owe their eternal gratitude to the Royal Children’s Hospital for helping to save Zeke’s life. And of course to Bayden “Bluey” Durie, Corey’s boss at Wycheproof Grain Co, who was always flexible and on hand to help negotiate Corey’s time when he was suddenly required to attend the hospital. “The RCH has helped so many families for so many years. I look back now and think of all the times we were worried that our little boy wouldn’t pull through and each time, the doctors and nurses did an extraordinary job in not only helping Zeke, but helping us as a family. It’s little wonder that the Good Friday Appeal is as big as it is, they deserve every cent they receive plus more,” Corey reminisced. Zeke’s Fundraiser also relies on the generosity and support of their team of volunteers and sponsors such as Panus Oceania and their finance partner Morris Finance and to date, Zeke’s Fundraiser alone has raised over $40,000 in 3 short years for the Good Friday Appeal. Panus and Morris Finance donated an array of highlight prizes to the event including Corporate AFL Football tickets which includes special entry to the Geelong Cats room before the game, accommodation packages, as well as Hot Laps, Grid Walks and Pit Tours with the Holden-Morris Finance / Walkinshaw V8 Racing Team! 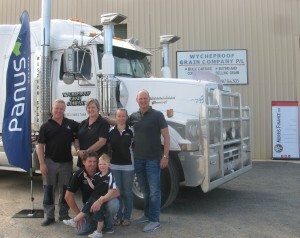 “It’s very easy to get caught up in the day to day operations of your business, however one of the uniquely great characteristics of the transport industry is that when the chips are down, or someone we know needs assistance, we get around to help and this event emphasised the comradery that exists in the transport and farming industry,” Joe acknowledged. As for Zeke, who is now aged four and with a whole life ahead of him, well, on the night of the fundraiser held in his name, he was just happy to run around with all the other kids, enjoying his hot chips and being his cheeky little self, something all young children are entitled to do! 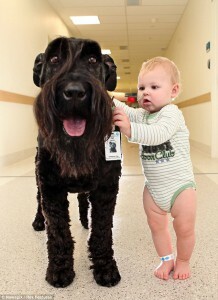 Zeke accompanies Ralf, a therapy dog that visits patients at the Royal Children’s Hospital as part of their treatment. Zeke helping to set up the fundraiser.